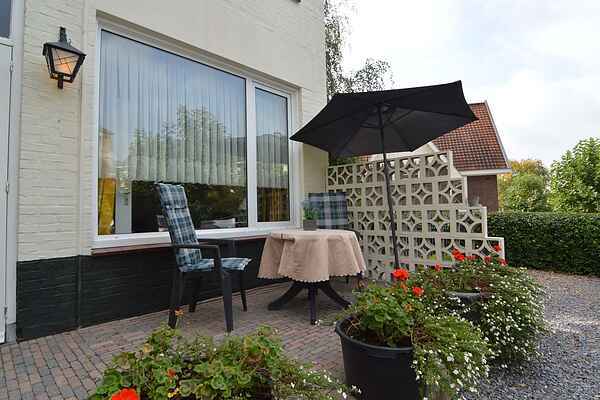 This wonderful holiday apartment is centrally located in the South Limburg hill country in the little village of Schin op Geul. The apartment is on the ground floor and has its own terrace. It is furnished in a cosy and comfortable style. You can park your car right out front. Next to the apartment is a restaurant where you can enjoy a delicious meal or a drink on the terrace. The apartment is ideally situated for exploring the Limburg hills. Valkenburg, always a nice town to visit, is a short distance away. You can relax at Thermea2000, can spend time at one of the many outdoor cafes or visit the marl caves. Unique Christmas markets are held in the caves during the holiday season. The region, which is known as the Geul Valley, is a great area to explore. Just round the corner you will find some wonderful hiking and cycling along little streams and through pastures and forests. From here you can also easily take a daytrip to Maastricht or an excursion to Heerlen, Aachen or Liège. Or visit the Gaia zoo in Kerkrade or the Brand brewery in Wijlre.